Use the form at right or use the email address below. 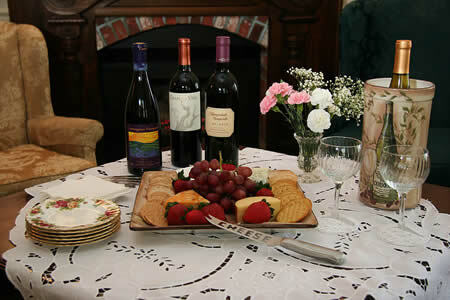 Click the markers on the above map to learn more about each Amador Wine Country Inn. Amador City is a city located in Amador County, California, United States. As of the 2000 census, the city had a total population of 196, although the city council estimates the current population at 210. Only two miles from Sutter Creek on Highway 49, Amador City is the state's smallest incorporated city in terms of city limits. According to the United States Census Bureau, the city has a total area of 0.3 square miles (0.9 km²), of which, 0.3 square miles (0.9 km²) of it is land and none of it is covered by water. Traveling the two blocks on Highway 49 the traveler can see signs of abandonment in this once thriving city, a contrast to the time when the placers and underground mines produced in abundance. An abandoned brick building stand next to the Fleetheart Store, a beautiful reflection of the stone masonry of the time. On Main street in Amador City is the old Imperial Hotel, another example of the beautiful brickwork of California's Past. Amador City was incorporated into a city around 1915. 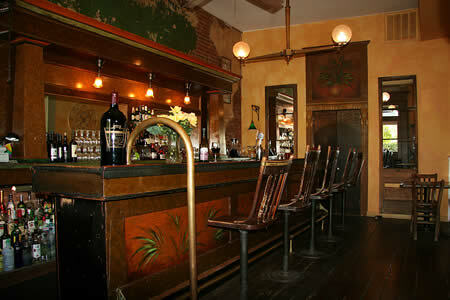 Historically located in a rich gold bearing area in the Motherlode of California. In 1848-1849 an unknown creek was prospected by a wealthy rancher named Jose Maria Amador. There were no known settlements until 1851. The California Gold Rush changed the landscape of California. Amador's most famous and productive mine, the Keystone produced about $24 million in gold during 1853-1942. These prices would be higher using today's gold standard. Sutter Creek, known as the "Jewel of the Mother Lode," was named after John Sutter, who sent a party to the area in 1846 in search of timber. Sutter logged this area for a while before heading back to his fort. His discovery of gold at nearby Coloma in January of the year 1848 triggered the California Gold Rush. After all his workers left him to go on their own hunt for gold, Sutter moved to Mormon Island with a couple of hands. After about 2 weeks miners started flooding the island and then Sutter and his hands made their trek to Sutter Creek. Sutter said that, " I broke up the camp and started on the march further south, and located my next camp on Sutter Creek, now in Amador County, and thought that I should be there alone. The work was going on well for a while, until three or four traveling grog-shops surrounded me, at from one-half to ten miles (16 km) distance from the camp. Then, of course, the gold was taken to these places, for drinking, gambling, etc., and then the following day they were sick and unable to work, and became deeper and more indebted to me, particularly the Kanakas." Shortly after this happened Sutter moved out of Sutter Creek and back to his fort. After this Sutter Creek became a destination for fortune hunters. Although plenty of gold was found here, quartz was discovered in 1851 and that became the mainstay of the local economy for many years. In the year 1854 Sutter Creek became a town. In 1932 the Central Eureka mine, discovered in 1869, had reached the 2,300-foot (700 m) level. By 1939, it was the best-paying mine at Sutter Creek. 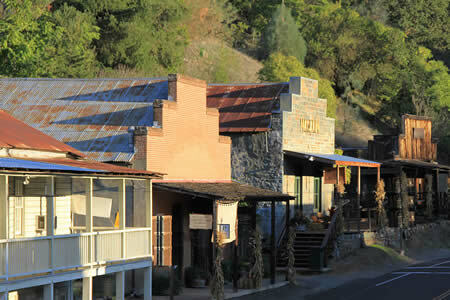 With the prosperity brought by quartz mining, Sutter Creek became a boom town. Many of the original brick buildings are still standing, as well as some of the mansions built by the wealthier residents. Leland Stanford was one of Sutter Creek's most famous residents. The mines continued operations until 1942 when most gold mines were closed for manpower reasons during World War II. The Central Eureka mine re-opened after the war and then shut down for good in 1951. 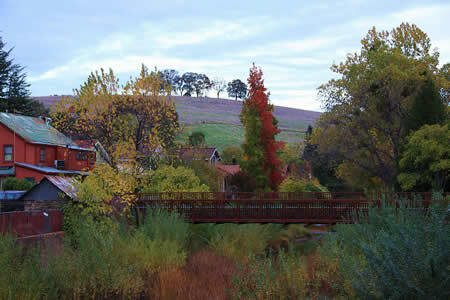 Today, Sutter Creek is a tourist town with many shops and restaurants. Jackson is the county seat of Amador County, California. The population was 3,989 at the 2000 census. 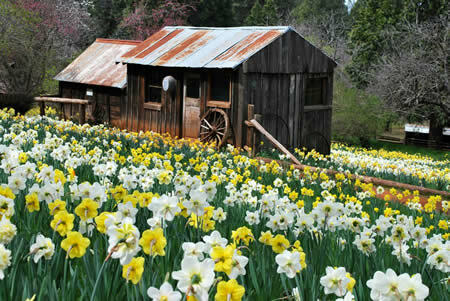 Jackson, named after Colonel Alden Jackson, was founded in 1848 around a year-round spring. Settlement of the region by American pioneers was stimulated by the discovery of gold in the Sierra foothills around 1848. The settlement was named for a local lawyer who was liked by miners named Alden Appola Moore Jackson. 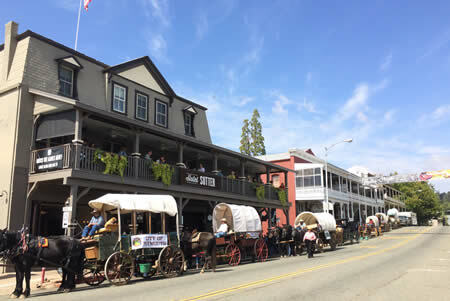 Although Amador County was an important mining center, its County seat of Jackson was not typical of the early gold camps. The camp grew quickly, as besides being a popular mining spot, it was also a convenient stopping place on the road from Sacramento to the Southern Mines. The camp became an important supply and transportation center for the neighboring towns, and by 1850 the population had reached an estimated 1,500. Jackson grew first as a watering hole for cattle, then as one of the earliest and most durable of the Mother Lode's hardrock mining areas. In 1853, Jackson became the county seat of newly formed Amador County, California. Previously, from 1851-1852, it had been the county seat of Calaveras County. Jackson may therefore be the only city to have ever been county seat of two different counties at different times. Placer mining gave out by the 1860s, replaced by hard rock mining. One of the town's most prominent historical landmarks, the Kennedy Mine, began operation in 1860; at the time of its closure during World War II in 1942, it was the deepest gold mine in North America, at 1802 meters; (5912 ft). On August 27, 1922 47 miners became trapped when a fire broke out in the Argonaut mine. All 47 men died in the fire but it wasn't until over a year later that the last body was recovered. The Argonaut mine incident was the worst gold mine disaster in US history. In Oct, 1942 the US government passed the War Production Board Limitation Order which signaled the demise of gold mining in California. The government needed men for the war and gold was not considered a strategic war metal. Plymouth is a city in Amador County, California, United States. The population was 980 at the 2000 census. 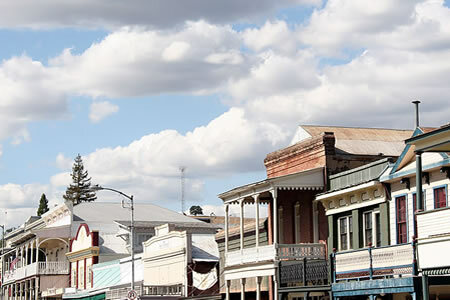 The town was originally named Pokerville, when it was settled during the time of the Gold Rush .Plymouth is the home of the Amador County Fair. One feature of the fairgrounds is the historic Amador Sawmill, a steam-powered sawmill typical of those used from the 1850s to the 1940s. The mill operates on a contract basis and during the 4-day fair in July. The Amador Sawmill and Mining Association also maintains a replica of a mine headframe and a collection of historic mining artifacts adjacent to the sawmill. Reference: Amador County Inns, Amador County Bed and Breakfast, Amador County B&B Inn, Amador County Inn, Amador County Hotel, Amador County Hotels, Amador Bed & Breakfast, Amador Bed & Breafast Inns, Amador Vacation, Amador Wine Country Vacation, Amador Lodging, Lodging in Amador County, Amador County Travel, Amador County CA. Sutter Creek CA, Sutter Creek Bed and Breakfast, Sutter Creek Inn, Sutter Creek Inns, Sutter Creek Bed & Breakfast, Hotels in Sutter Creek, Sutter Creek Hotel, Sutter Creek Lodging, Sutter Creek Vacation, Sutter Creek California, Sutter Creek Hotels. 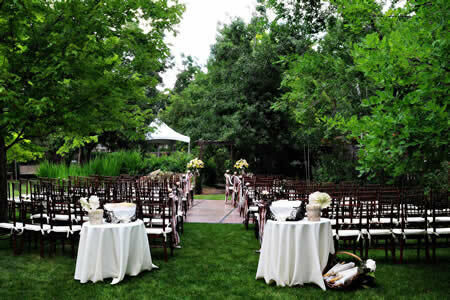 Jackson Inn, Jackson Bed & Breakfast, Jackson CA, Jackson Bed and Breakfast, Inns in Jackson, Jackson Lodging, Jackson Bed and Breakfast Inn, Amador City CA, Amador City Hotel, Amador City Bed and Breakfast, Lodging in Amador City, Inns in Amador City, Amador City Hotels. Plymouth Inn, Plymouth Bed & Breakast, Plymouth Bed and Breakfast Inn, Plymouth Hotel, Hotels in Plymouth, Plymouth Vacation. 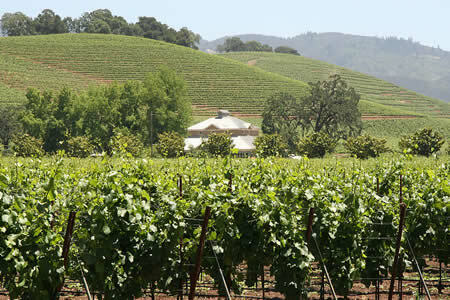 Amador Wine Country. Amador County Vintners. Amador Wines.